Looking for used books? Biblio.co.nz hosts hundreds of of the finest online book stores and booksellers, including specialists in used books. Use the list below to locate a specific specialist bookseller or book store near you. Or, use the form below to search the inventory of all booksellers who specialize in used books. We buy and sell new and used Student Textbooks, Teacher's Editions, Teacher's Resource Materials, CD-Rom's, Workbooks and other Supplementary Materials.If you don't see what you are needing, please contact us so that we can check our inventory for you. Baker Book House has been a family owned independent bookstore and publishing house since Herman Baker began selling used books from his own personal library in 1939. We are now a full service retail store with a large selection of Christian products including over 100,000 used and remainder books. Quality customer service is our top priority. We work diligently to process orders and respond to customer concerns with thoroughness and care. We look forward to doing business with you! Between the Covers Bookshop strives to provide a unique and tailored shopping experience, putting titles into our customers' hands that they may not have been aware they were looking for! Our bookstore staff is happy to be your literary tour guide! Dealing in used and out of print books. Books-n-things is owned by retiree Pat Williams. After years of working as an accountant, she retired and was enjoying time with great-grandchildren. She recently decided she needed something to do a few days a week and that's where her love of books kicked in. Working from a personal inventory, she began the process of opening a bookstore. The community has been great and many have donated books to the cause. She carries mostly used books that are perfect for a home library. However, she also has some collector's editions, autographed books, and some books that are local authors to northeast Tennessee and southwest Virginia. We are an independent used bookstore in the heart of Hamburg, New York. We deal in a wide variety of used books at discount prices. We are a small, independent book shop in NE Minneapolis. We sell mostly used books with a section of new books by local authors. We also have a large rare and collectible book section. Our real storefront hosts all sorts of community events and often serves up bread, coffee, and tea. Fair Trade books has a storefront in downtown Red Wing, Mn., with a used book inventory of 18,000 titles and a new book inventory of 1500 titles. 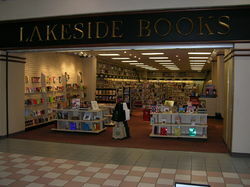 The store offers all categories of books, including children's and young adult. The staff endeavors to provide a complete range of reader services, including special ordering and the taking in for store credit of customers' books in trade. Handcrafted "fair trade" merchandise from around the world is also offered, both book related and gift related items. We are a used online bookstore that specializes in rare, hard-to-find, collectible, used books, Cd's, and DVD's and VHS, and vinyl records. We also offer hard-to-find books in varying languages such as Spanish, French, German, Portuguese, among others. We pride in offering personal customer service.